Dodge used its 3.7L engine that was created by Chrysler in the Ram and Dakota series pickup trucks. This V6 engine is one powerful engine. It is so powerful that Chrysler named it the PowerTech. In an era where engine power means everything, you can’t go wrong when you rely on power and performance that is this great. Ford might have its Triton and Modular engines but Chrysler has its PowerTech. This Ram engine packs well over 200 horsepower and is easy to install. We have a supply of these Dodge Ram 3.7L crate engines for prices that are almost unbelievable they are so low. Chrysler designed its 3.7L V6 to be a SOHC engine. There are some that disagreed with this configuration and thought it should be DOHC. The success that Jeep vehicle have had since the reorganization in 1987 was a testament to the effectiveness of the SOHC design. When you want a little more power, you don’t have to increase the engine size to get it. The Ram crate engines we offer are the same way. These are complete engines in every sense of the word. If you think you need more power, you can boost it up after the install. These are true stock Ram motors and they are sold at an awesome price. We do two things right off the bat here that most dealers do not. The first thing we do very well is that we create trust. We developed a great engine website. We offer informative details about what we sell. Most dealers just copy and paste OEM specs. Another thing that we do is keep the pricing to a lower minimum. We don’t make you buy more than one engine just to get discounts. Whether you buy one or five, the price never changes and we make sure you’re happy. We even go as far as including a great warranty with our Ram 3.7L engines. The speed of shipping that we have is just a bonus after an engine is ordered. Some companies that ship crate engines do so when they feel like it. We take a completely different approach. We ship engines immediately after orders come in for them. Our engine staff immediately notifies our freight staff. It is this constant communication that helps us cut days off of the standard time of delivery. 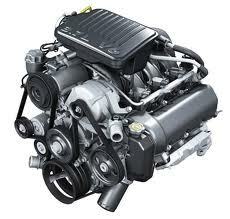 The V6 engine that you can expect at your door will always arrive on time or earlier. We know if you are buying for a third party that you expect us to meet tight schedules. We meet schedules and we exceed crate engine expectations. A crate engine ordered from us will always cost less and we’ll prove it. Type your information into our Ram 3.7L crate engine quote form. The pricing you get will make you happy. You get access to these quotes any day of the week even on holidays. Getting prices here and learning about our warranty is easy to do. After your quote is reviewed, call our engine staff at (336) 355-5679. It could not be any easier for you to be our customer.